As we have the International Day around the corner, we present the next and the last article in the series. This is an interview of Manuel, an international student from Portugal, who seems to be overwhelmed by his experiences here. 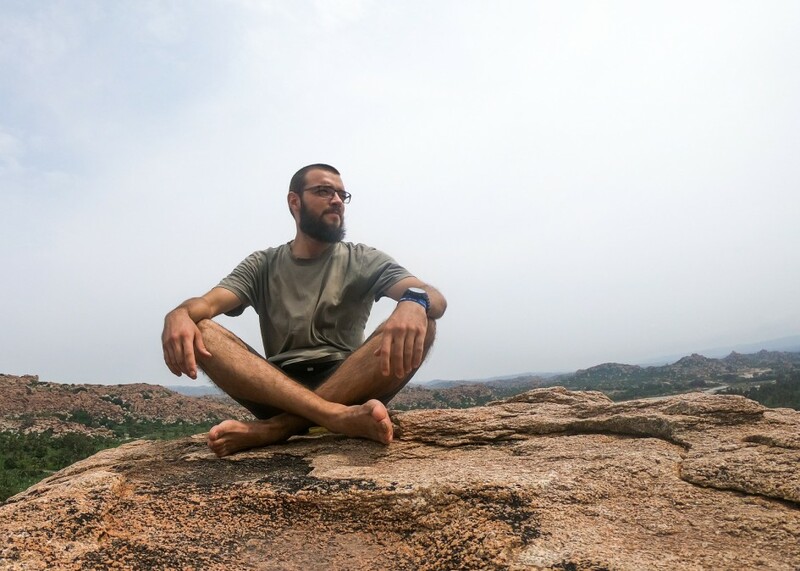 Read on to know more about his experiences in India and at IIT Madras. What is your course of study here? How do you feel about it? I’m doing electrical engineering with a few courses from the Department of Management Studies, because I need these types of courses too in my curriculum, in my university. I like them. They are very different. In fact, that’s why I came to India; not just to experience the different culture in outside countries, but also to experience the teaching here. The education system here is definitely very different from the one in Portugal. Here the focus is more theoretical. I always thought that my university was always theoretical but sure it is a lot more. Here, while solving a problem, we use a lot of basic concepts and hence, there is a lot of mathematics involved. I think I’m getting used to the culture here. Initially, it was a bit difficult. But now, I am a little used to it. Overall, yes, it’s pretty different. I made some very good friends here and I would love to stay in touch with them. I am sure that whenever I recollect my life here, in India, I shall remember them. I shall definitely stay in touch with them. It’s funny to note that the whole Europe is pretty much the size of India. After coming here, I realized that the distance between Portugal and Germany, for instance, is pretty small as compared to your country’s size. So, I don’t have to stick to my country anymore. This has definitely opened my eyes. (after thinking for quite some time :P) It’s too tough. Even, more than a word, it’s difficult to describe. To my friends, I shall say that it was one of the best experiences of my life. It would not be wrong to say that it was an eye-opening experience for me. Actually, I’m speechless. Well, that’s the thing. The thing with this experience is that I can’t really put my experience into words. I can’t really talk much about my experience with my friends and parents, as they would not understand what I am telling. In order to understand what I am telling, they have to come and experience it. I have to think a lot to describe my experience here. But I’m sure, that in just a few words, it is impossible to describe. First of all, the campus life. My university is not as big as this. Moreover, we don’t live inside the campus. So, the campus life experience is unmatched. It is amazing. Also, me and most of my friends love the wildlife here. Living inside a natural park like this is definitely an amazing experience. I don’t think we can see such wildlife in a lot of places. It’s a rare sight. I have now become a little used to it. Yet, I get impressed by the sight of deer, black bucks and monkeys. They’re amazing. Also, from what I know, usually in these exchange programmes, people tend to stick to others from their country alone. People actually fail to blend with people from the actual university. I see that a lot at my university. I was not expecting much of involvement here too. But, it turned out much above my expectations. I have a lot of Indian friends now and we are usually together most of the time. That is a very positive thing here. I can surely say that Indians are very friendly and welcoming. Well, I’m still struggling with this. It is really spicy. I have been here for 4 months now. In the beginning, it was much worse. Now, I’m still struggling with some places. I like Suprabha here, near CCW. The food there is nice. I have traveled to various places here. Let us go in the chronological order. Mahabalipuram, Pondicherry, Bangalore, Jog Falls, and Hampi too. It is an amazing place. I have been to Kerala and also to Yelagiri, as a part of the iPals trip and then to Kanchipuram. Not to forget, my visit to Sri Lanka. It was a wonderful experience. I plan to cover North India in the upcoming time. Once, I am done with the semester, I would travel north and tour Nepal too. I would love to come back. There is no question on that. It is actually a privilege to live in this campus and to experience this. Do not think that it is usual. As time goes by, we tend to feel that this is normal, but it is not. All the trees around, such wildlife and amazing activities that keep going on at this institute, they keep this place very dynamic and interesting. So, do not take this place for granted. I feel like this place is an oasis inside Chennai. This is what I tell my friends when they ask me about this campus. As you step outside this place, you encounter a lot more people and noises, which is completely contrary to what is inside. So, do not take this experience for granted and make the most out of it. That’s what I would like to say. Make yourself available during the evening of 31st of October to meet, mix and experience the varied cultures, right before you, by the international students themselves. Come over to cheer them and for lot more fun.